Want to get involved and help us preserve over 150 years worth of history? General maintenance work is carried out from 9.00am each Friday and Saturday. 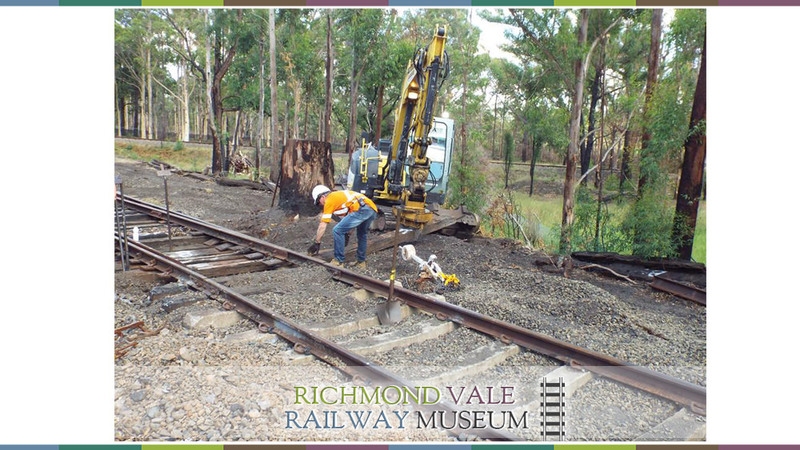 PERWAY (Trackwork) – Sleeper replacement, clearing vegetation from track side and weed spraying. MECHANICAL BRANCH (The loco shed) –metal working skills / boilermaking skills / mechanical skills. Even if you aren’t mechanically minded, you can hand out tools, tidy the area, clean down engines ready for running days. GROUNDS KEEPING/GARDENING – The appearance of the site is one of its great attractions. Mowing and gardening are important parts of site presentation. PAINTING – Can you use a paint brush? We have lots of things (carriages, locos, wagons etc) that need painting. CARRIAGE SHED – Our carriage and wagon fleet needs some specific skills in wood working and upholstering. Are they fields in which you can offer help? If you don’t possess any of these skills, we are always looking for front-of-house and hospitality helpers, or clerical skills as we move to a complete catalogue of our collection. As part of our community connections, the Museum volunteers work with trainees from Mai-Wel Labourforce Solutions on site improvements and housekeeping as part of their training program.